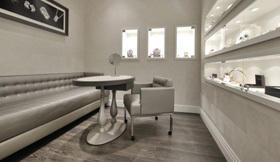 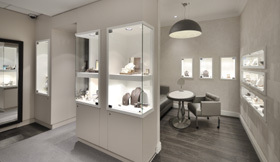 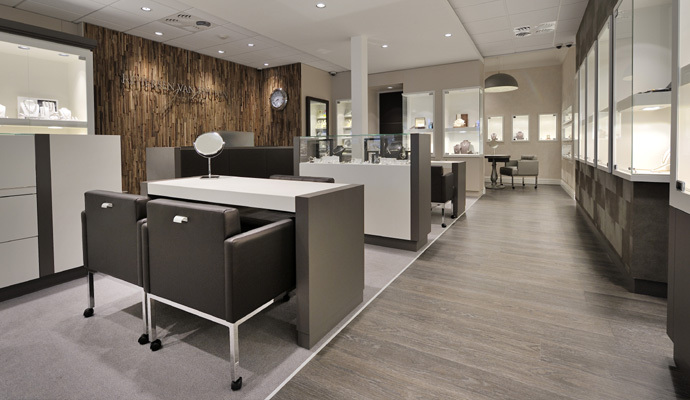 Reijersen Van Buuren Jewellers of Vianen had a complete metamorphosis, where luxury and contemporary go hand in hand. 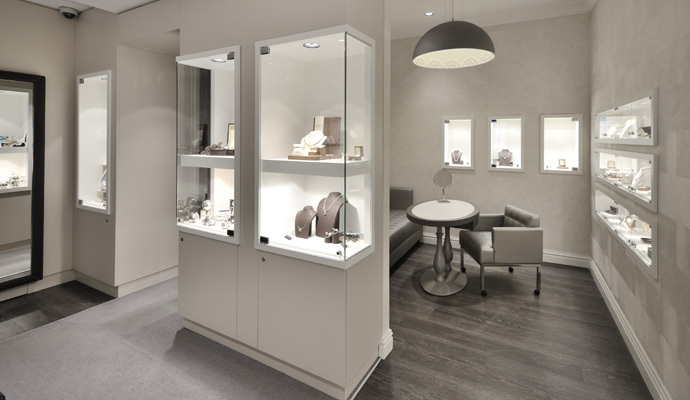 WSB Shopfitting was responsible for both the retail design and the turn-key realisation. 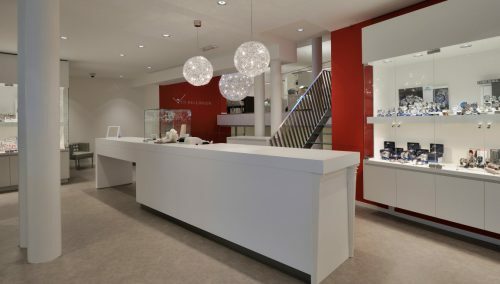 Reijersen Van Buuren Jewellers is synonymous with an extensive collection of beautiful jewellery, watches and fine gems. 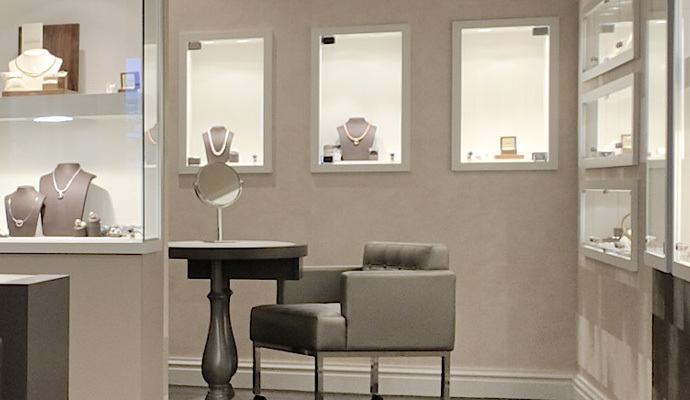 This jewellery shop is committed to traditional skills, which is why Reijersen Van Buren employs their own gold smith. 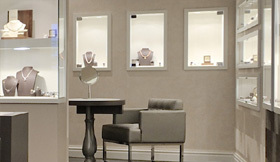 This gives Reijersen Van Buren Jewellers a regional function. 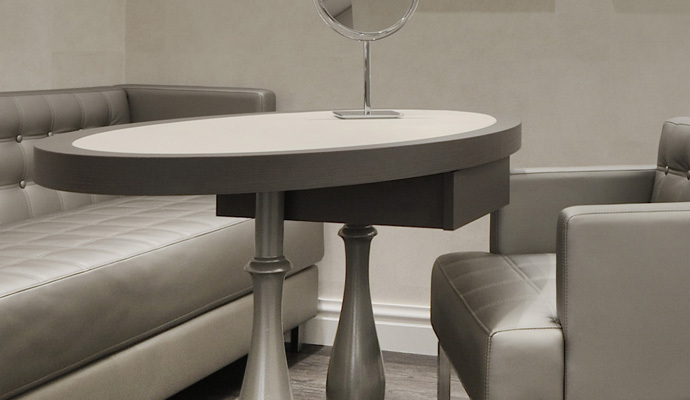 Special elements in the shop include exquisite wall papers, stitched leather panels on the service counter, doors and mirrors. 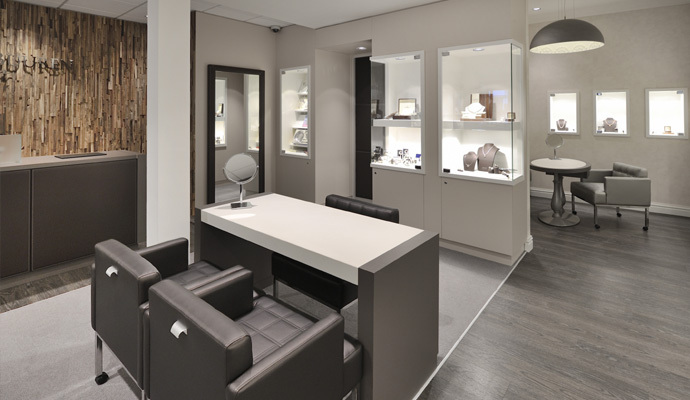 The ambiance in the window display is based on contrast (light-dark), highlighting the fancy look and feel of this monumental building. 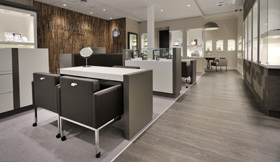 The fabrics in the shop were supplied by Kvadrat, the carpet is a Besouw design. 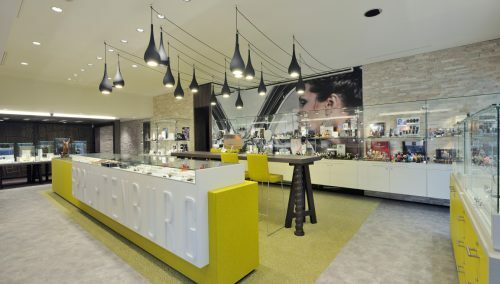 The jeweller’s DNA is a powerful element in the retail design for Reijersen Van Buuren: luxury, customer focus and warmth. 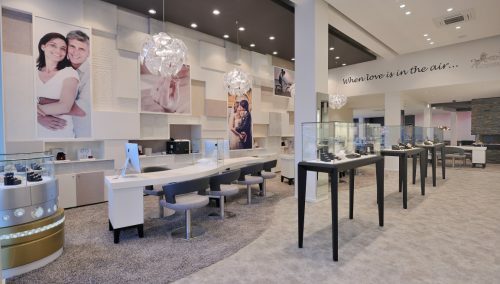 Ronald and Jacqueline: Congratulations!